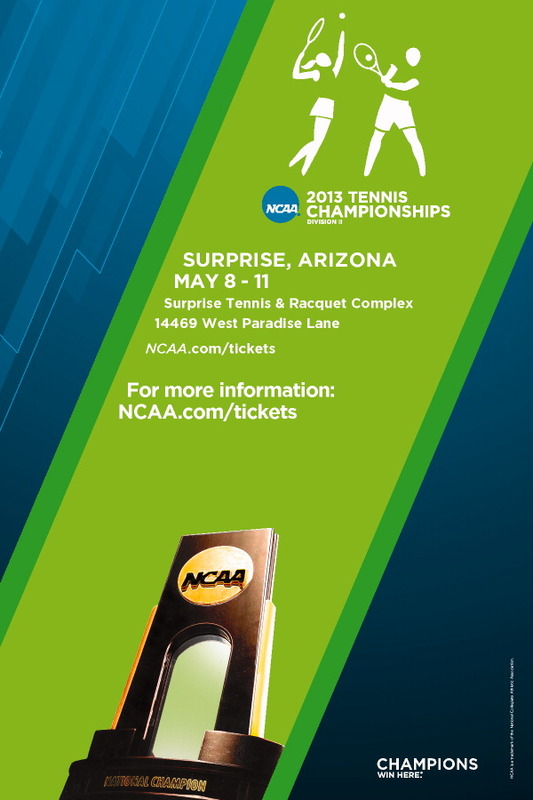 Some of the nation's top collegiate men's and women's tennis programs will make their way to Surprise, Ariz. in early May for the NCAA Division II Tennis Championships. 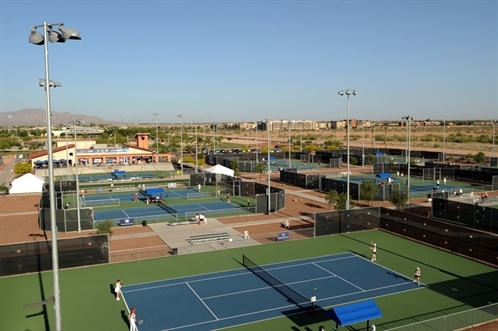 Four rounds of play over four days featuring 16 schools in elimination play will take place at the Surprise Tennis & Racquet Complex (pictured, right) for this national championship event. This event will be the first-time ever that the Phoenix area has held an NCAA Championship tennis event. Men - Armstrong Atlantic State (which has won three of the last five championships) Barry University, Lynn University, and West Florida, in addition to several others, potentially including local favorite, Grand Canyon University (which is currently No. 13 in the latest ITA Division II rankings)..
Women - Armstrong Atlantic State has had an equally successful run on the women's side, capturing four of the last five championships, and is currently the top-ranked women's team in the country. In addition, Barry University, Hawaiit Pacific, BYU-Hawaii, Abilene Christian University (Texas), and Grand Canyon University (with an identical women's ranking of No. 13) are all potential teams that could make the field. The full field of 32 teams (16 men and 16 women) will be announced soon. Check back for more details or visit the NCAA Division II Championships homepage. Ticket information for the event can also be found at ncaa.com/tickets.